We have a range of detailed maps for Herefordshire towns and we also cover the whole county at the Inch to the Mile scale. 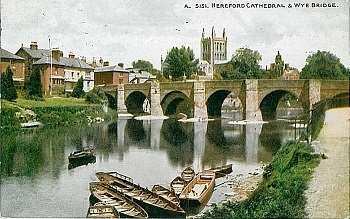 Herefordshire County Council was formed in 1889. There was a reorganisation in 1974, when Herefordshire became part of Hereford & Worcester. In 1998, however, it regained its independence as a county. It is now a unitary authority.